From spicy breakfasts to delectable dinners, Mexican cuisine has a variety of the tastiest, most well-known dishes in the world. Each Mexican state and region has many typical specialties that are representative of the area, such as the huevo con machaca from Chihuahua, the chaska from Aguascalientes, or the sopes from Colima. 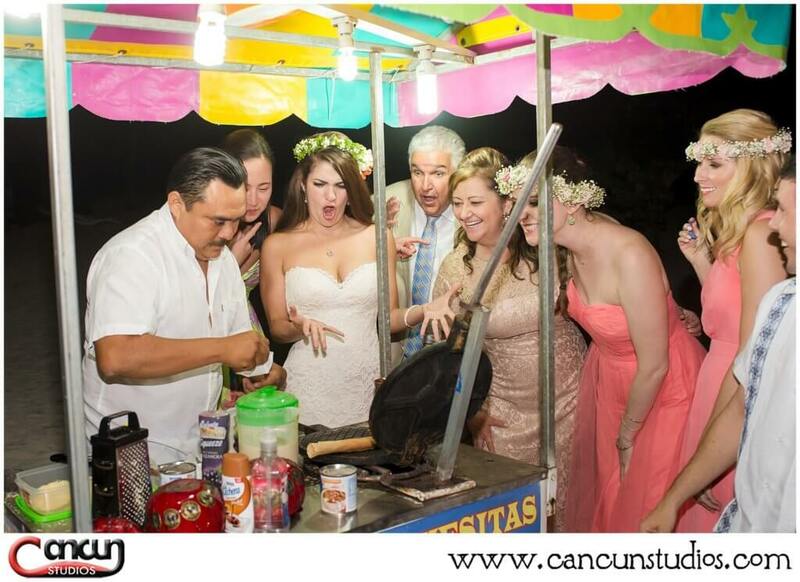 In the Yucatan, there are several special plates that can be served at weddings and events, such as cochinita pibil and pescado Tikin Xic, and traditional snacks and desserts that can make a special appearance, such as the famously delicious marquesitas. 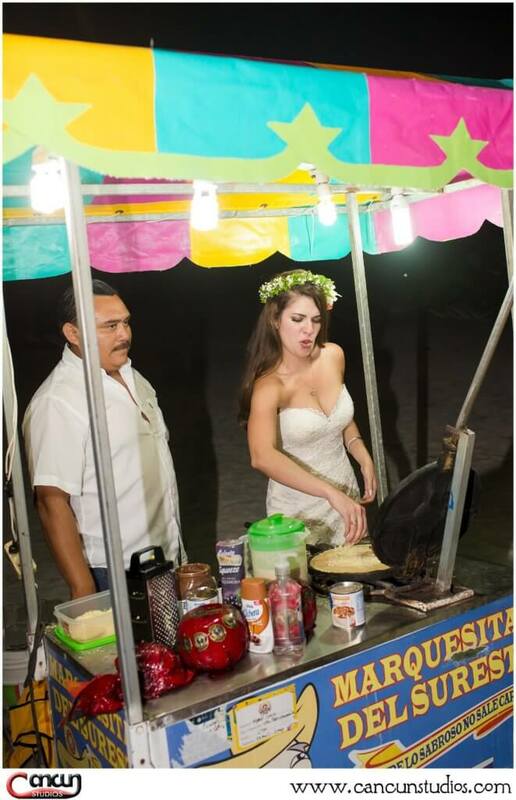 Popular since the early 1900s, marquesitas are an inexpensive Mexican version of crepes (but better!). 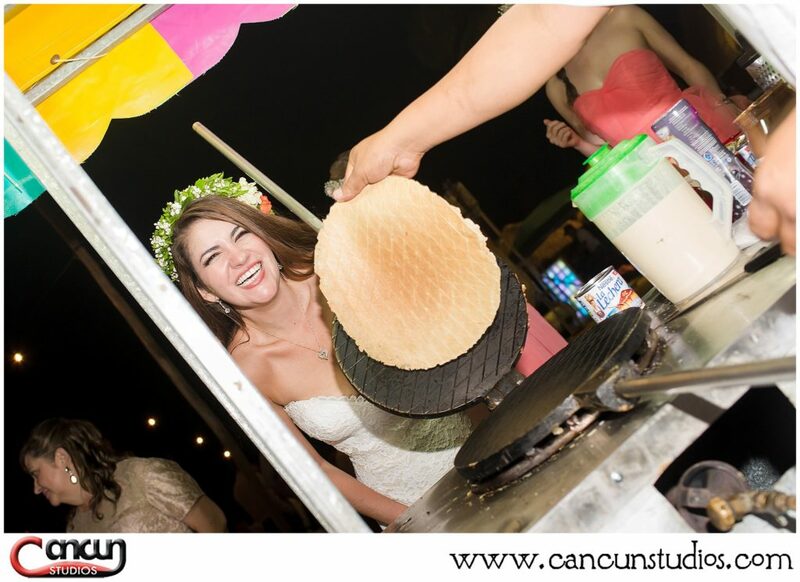 Prepared like crepes, they are flattened and quickly cooked on a stove and then typically filled with Dutch edam cheese and your favorite topping; the outside is then rolled into a taco and hardens instantly, tasting like a sweet sugar cone. Wrapped from the bottom in a napkin, this dessert is served hot, del comal a la boca (from the stove to the mouth), as we would say in Spanish. 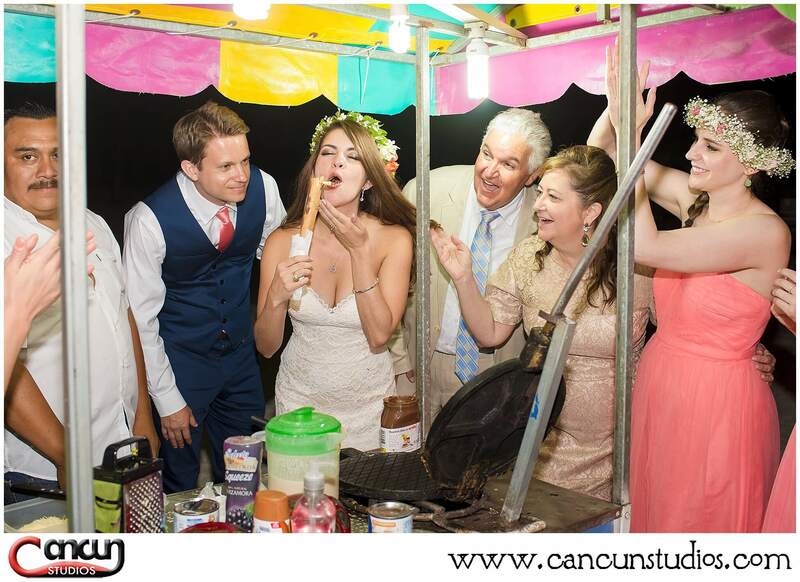 This specialty is easy to find in any corner of different plazas on the Yucatan Peninsula. 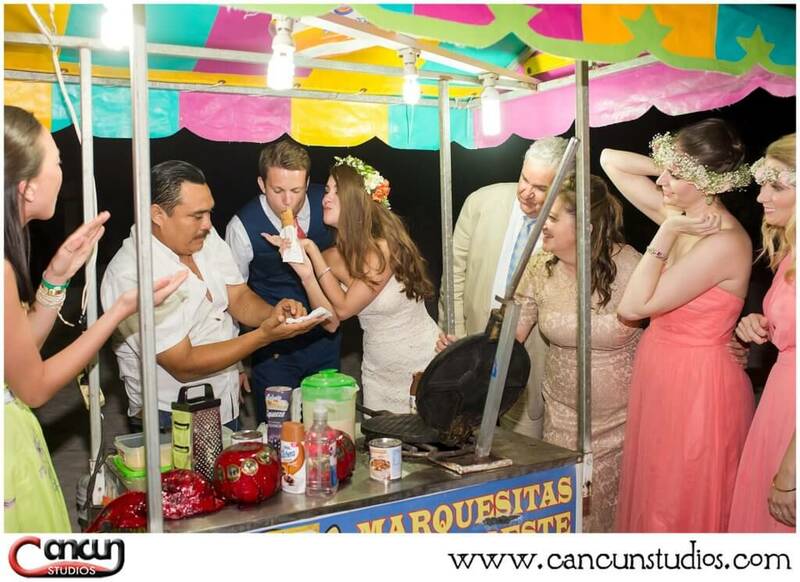 Recently, we had a wedding that rented a marquesita cart so that each guest be able to order their own mouthwatering dessert. 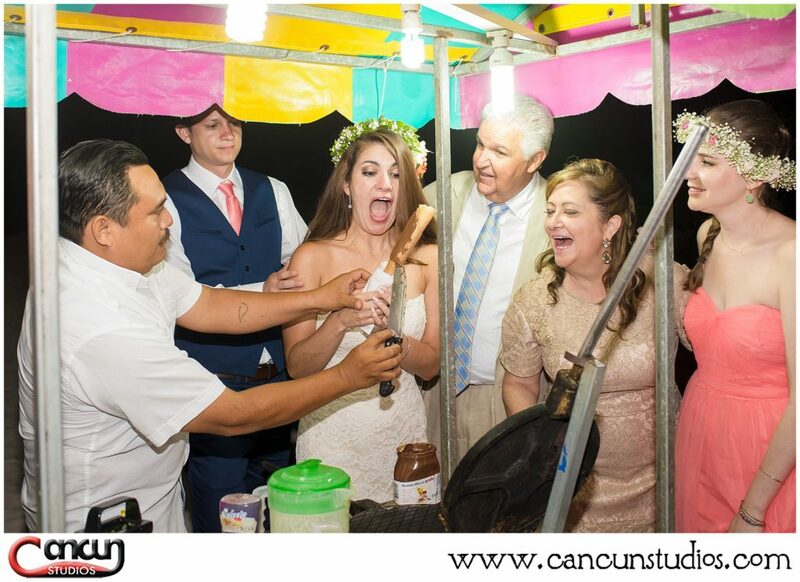 Some people filled theirs with Nutella, jam, condensed milk, or cajeta, along with the cheesy finishing touch for a unique sweet and salty taste. 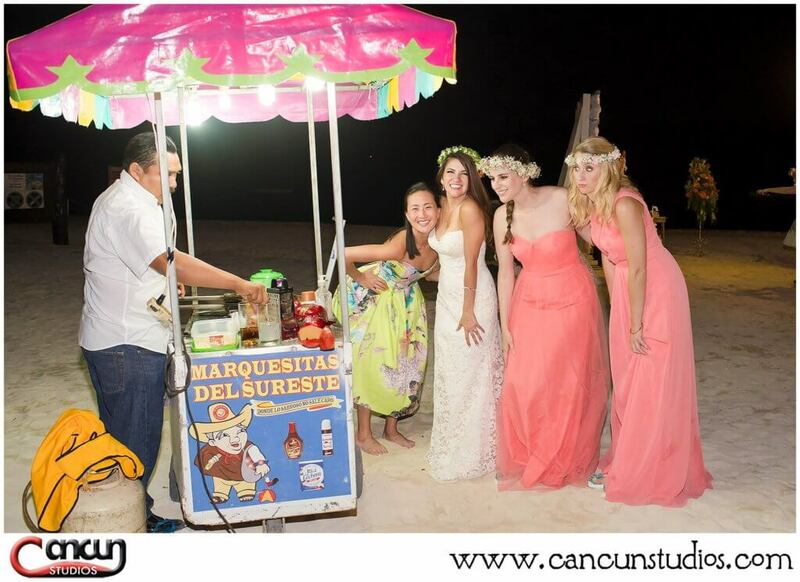 These mouthwatering desserts are a great idea to include at your own wedding in Cancun for your guests to enjoy a traditional, Mexican goodie. 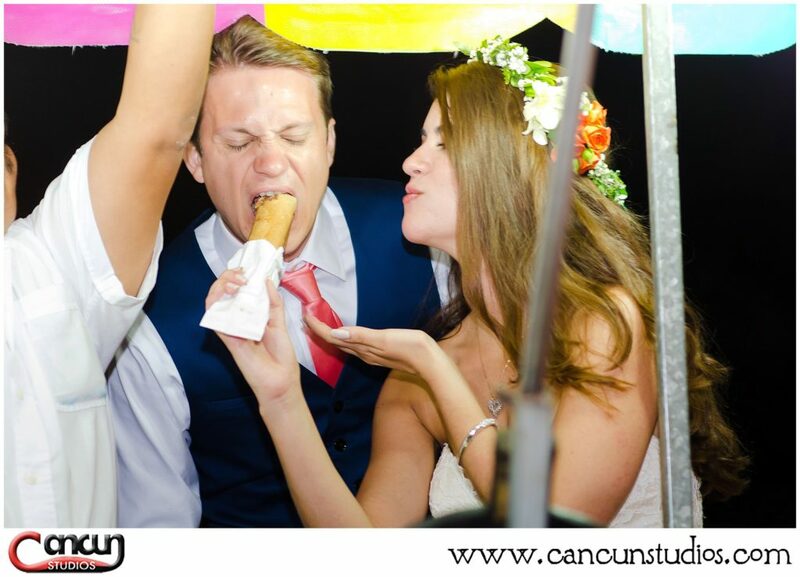 Contact us today so that we can capture the joy and pleasure of such a delicious treat! Provecho!